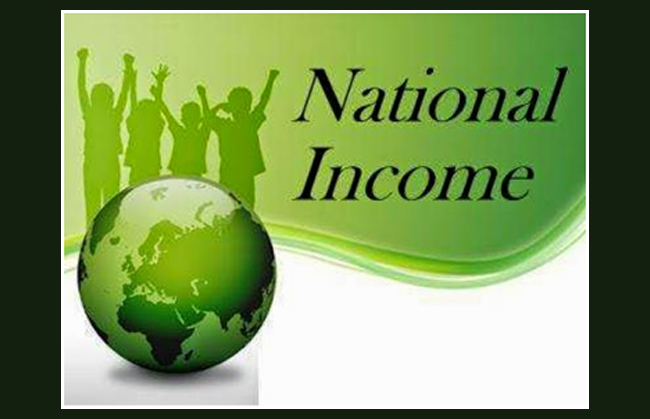 In this session, we are going to study the topic �The National Income�. National Income refers generally to the total value of all services and goods that are produced within a country and the income that comes from abroad also for a given period which is usually one year. The value of National Income includes also the expenditure the country incurs in the form of wages, interest, rent and profits. GDP is a small part of the National Income as it refers to the value of the products and services generated within the boundaries of a country. But, National Income is the sum total of all the income a country makes within and without. We have to note a very important point here. We said National Income is the total value of the products and services. To have products and discharge services as well, we need machineries and the machineries keep wearing out. That is, the value of machinery cannot be the same year after year because it wears out. Therefore, when we calculate National Income, we have to deduct every year the value of depreciation from the total of the National Income. The experts are of the view that the National Income cannot be accurately calculated; there are some in-built difficulties. Let us see an example. Say, a farmer sells his product, wheat , to a whole saler, a mega stockist for Rs 1000. The wholesaler sells it in turn to a flour mill for Rs 1500 and he again in turn sells it for Rs 2000 to a retailer who gives the product to a consumer for Rs 2500. When you calculate the National Income, a product worth Rs. 1000 gets included at various levels with varying price; it ends us boosting the value of wheat. That is, the figure arrived at cannot be accurate in the estimate of the value of the wheat. This error is popularly known as double counting. There is one more point that makes arriving at an accurate National Income almost impossible. A farmer may not market his product for money; he may keep it for his own consumption, at least part of it ; or, he may exchange his product with some other farmer for the latter�s product; he gets rice back for his wheat. This exchange or personal consumption of the product makes the estimate of the National Income an incorrect figure. Therefore, what looks easy as a concept is not that easy when it comes to work it out in terms of exactness and accuracy. We will see some more points about National Income in our next session.